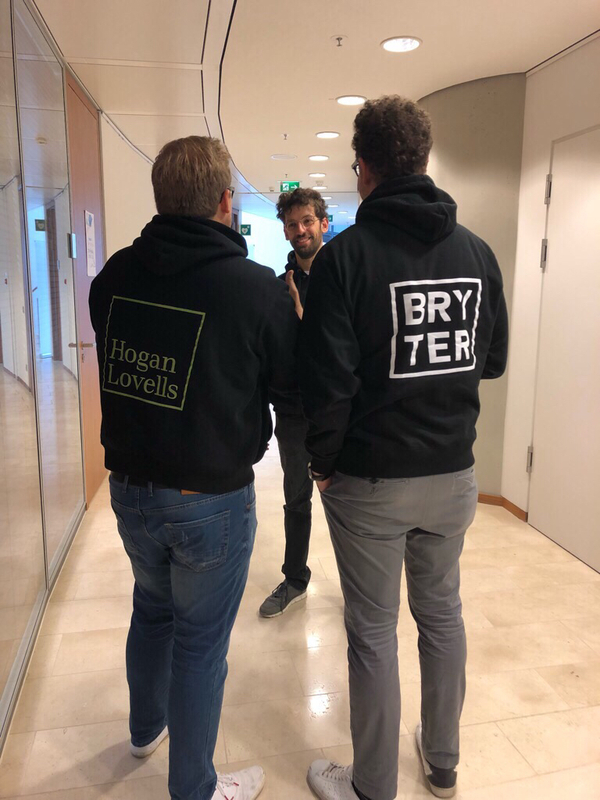 50 participants, 30 hours, six innovative apps for legal advice for the digital age – and three winners of the first Hogan Lovells Hackathon. From 26 to 27 October, the law firm organized a Legal Tech Hackathon for law students at the Heinrich Heine University in Düsseldorf. The aim was to transform analog legal knowledge into digital, interactive software solutions on the BRYTER Platform. 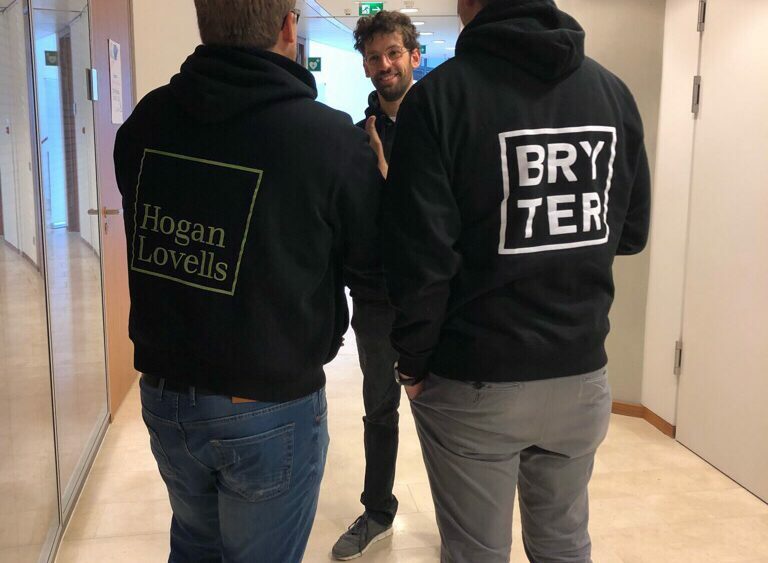 During the hackathon – a word created from “hack” and “marathon” – the six teams, supported by lawyers from Hogan Lovells and engineers from BRYTER, worked through the night to make it easier for clients to make legal decisions and risk assessments or create legal documents. A five-member jury of lawyers and computer scientists chose the students Johannes Huppertz, Philipp Christian Offergeld and Nils Henrik Pelster for the first place, endowed with 2,500 euros. Their application allows identifying the cases where data breaches need to be reported to the authorities. The solution of Yannick Schrader-Schillkowsky, Tsvetelina Simova-Petkova, Jakov Gerber and Caman Derakhshan came second, with a rank of 1,500 euros. It allows information about a possible infringement of trademark rights to be transmitted to lawyers more quickly. Lea Prehn, Lisa Harz and Anja Pecher took third place (1,000 euros in prize money) with a programme that provides information on the cases in which influencers on social media channels have to label product placements as advertising. The other topics dealt with the question of what risk a foreign direct investment involves, what legal form is most appropriate for setting up a company and what risks employers may face in the event of termination. The students were able to choose from a total of 20 project ideas that had been compiled by Hogan Lovells. “Legal Tech – the digital transformation of the legal market – makes access to the law easier for everyone and thus also for our clients,” emphasized Nico Kuhlmann, digitization expert at Hogan Lovells and one of the organizers of the Duesseldorf Hackthon. “This development will lead to the growth of the market for legal advice and legal products and will also broaden the professional profile of lawyers. The hackathon was facilitated through the BRYTER Platform. BRYTER allows building complex legal apps in a very short time frame. It enables professionals to model and visualize their knowledge and to transfer it into real software – with just one click.